Austin is located in central Texas and is the capital of the lone star state. The city lays claim to being the "live music capital of the world" but is also a center for film hosting one of the biggest film festivals in the U.S., South by Southwest. Austin has an abundance of parks and lakes which are popular for hiking, biking, swimming, boating and other outdoor pursuits. It is also home to a wonderful ballet, world-class museums, one-of-a-kind shopping and beautiful outdoor spaces. Come eat breakfast taco's, drink margarita's, hang with hipsters and party downtown. Nearby attractions include some amazing waterholes that the kids will love. ​Fort Worth was an important trading post for cowboys in the late 19th century and the last remaining historic stockyard in the USA which once saw millions of cattle pass through. Today it is a modern city home to numerous excellent art galleries and museums, some of which celebrate the city's past as a cattle town, and attractions that take visitors back to the days of the great cattle round ups with all kinds of entertainment and fun things to see and do, from rodeos to live music shows, museums, and western-themed shopping. Come and explore the true American West in the Stockyards National Historic District or dine in one of many Fort Worth restaurants offering everything from Tex-Mex and BBQ to world-class cuisine. The San Antonio River Walk is a network of walkways along the banks of the San Antonio River. The River Walk is a verdant oasis of cypress-lined paved paths, arched stone bridges and lush landscapes. It gently winds through the city center, providing millions of visitors each year with easy access to the city’s cultural hot spots, historic sites and other attractions. Colorful and iconic umbrellas shade riverside tables as diners savor a splendid array of diverse River Walk cuisine such as classic Tex-Mex, tender barbecue, traditional Italian and contemporary Southwestern fare. Ride a river cruiser, rent a bicycle or take your time seeing the sights on foot. There is a new adventure around every turn. 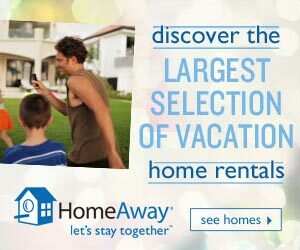 ​If you would like to book a whole house or cabin to yourself or your family then you need to check out HomeAway! 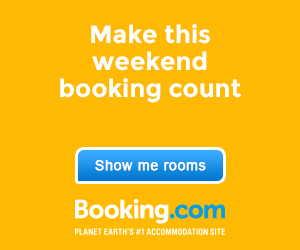 They have a huge range of vacation homes at really good rates. We had the best experience staying at a gorgeous log cabin in the Pacific North-west through this website that really was the ultimate getaway! Have a look and see what you think.